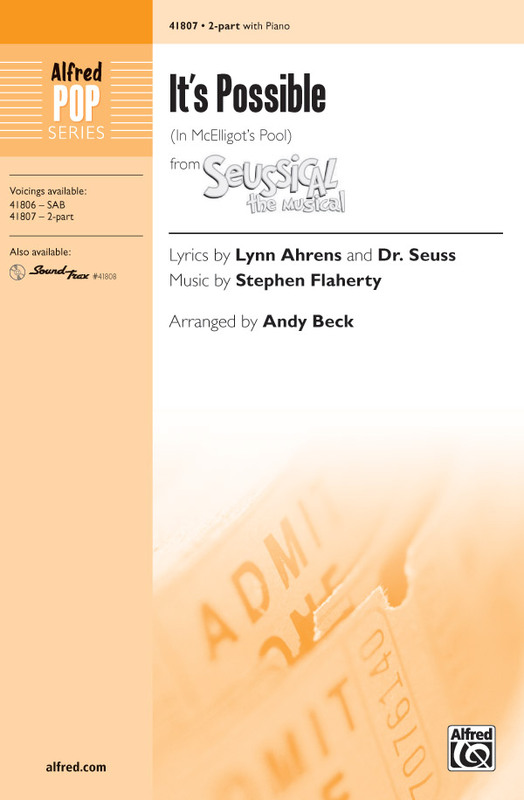 Seussical is a musical by Lynn Ahrens and Stephen Flaherty based on the stories of Dr. Seuss (mainly "Horton Hears a Who! ", "Horton Hatches the Egg" and "Miss Gertrude McFuzz") that debuted on Broadway in 2000. 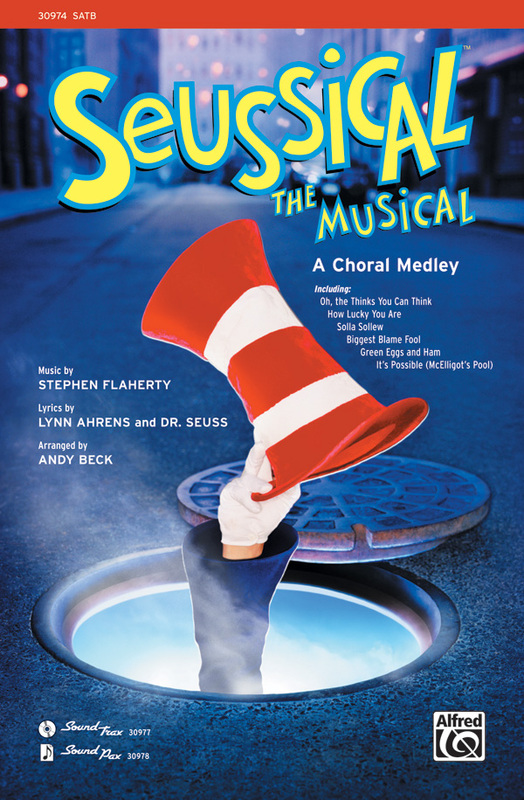 The play's story is a complex amalgamation of many of Seuss's most famous books. 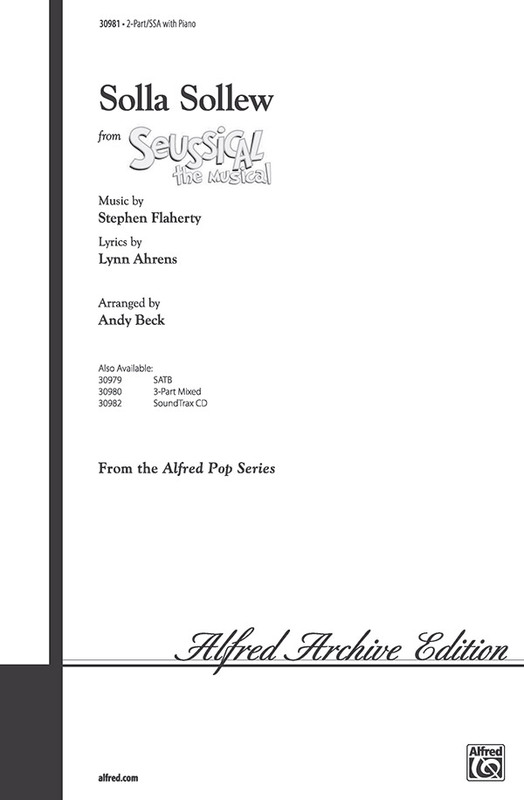 After a Broadway run, the production spawned two US national tours and a UK tour. It has become a beloved classic for schools, communities, and regional theatres. 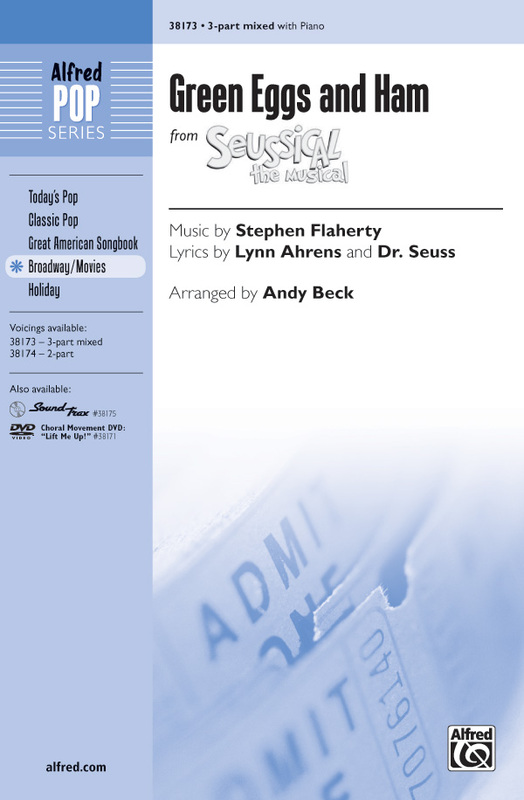 From the composer and lyricist of Ragtime this new musical is based on the beloved Dr. Seuss characters. Titles are: All for You - Alone in the Universe - Amayzing Mayzie - Biggest Blame Fool - Havin' a Hunch - Horton Hears a Who - How Lucky You Are - It's Possible - The Military - Notice Me, Horton - Oh, the Thinks You Can Think - Solla Sollew. The Ahrens and Flaherty score you admire; A 10-minute medley when sung by your choir. 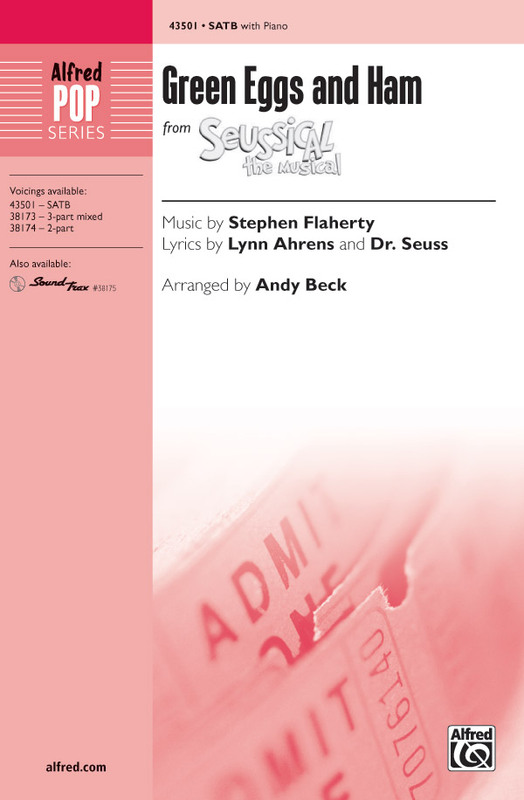 And Dr. Seuss characters penned for the page Are "stars of the show" on the Seussical stage! So gather the singers, assemble the cast, Get ready to have a fantastical blast. Make way for the choir (a large one, or small), 'Cause this is a showstopper, perfect for all! 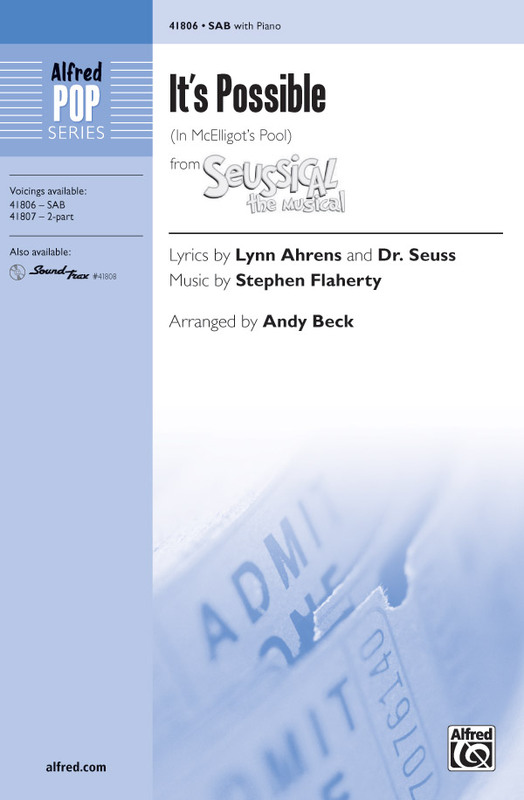 Songs include: Oh, the Thinks You Can Think * How Lucky You Are * Solla Sollew * Biggest Blame Fool * Green Eggs and Ham * It's Possible (McElligot's Pool). If you remember the best-selling, critically acclaimed Dr. Seuss book, then you already know the words to this swingin' novelty number. 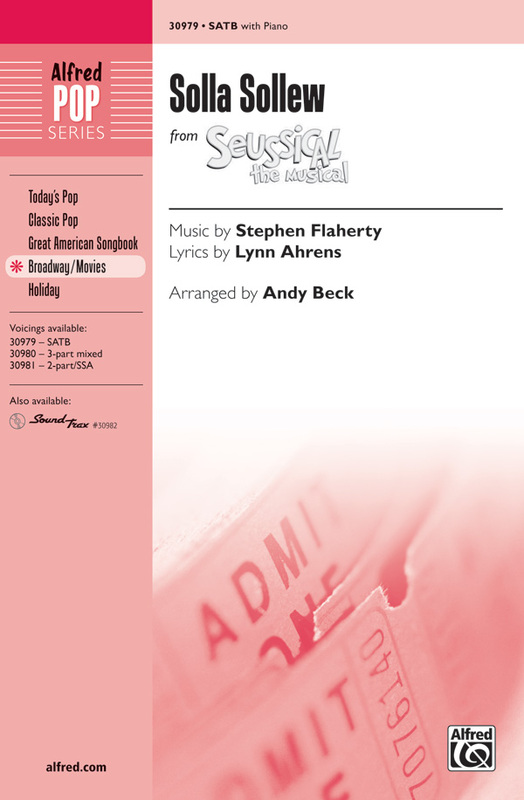 Taken from the 2000 Broadway musical, this arrangement includes a ready-made encore "tag" for when the audience begs for more. Fabulously fun! 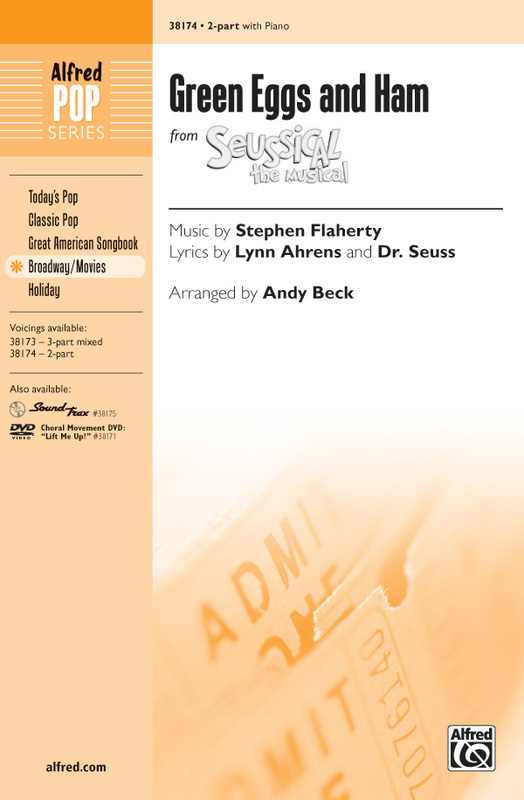 Now available for SATB, this swingin' novelty number from the 2000 Broadway musical Seussical the Musical includes a ready-made encore "tag" for when your audience begs for more. Fabulously fun! What started as words on a storybook page, then travelled to Broadway to light up the stage, is newly arranged for a different use, and now kids can sing what was written by Seuss. So come take a dip in McElligot's Pool, by singing this song with your choir at school.